The Fountainhead was docked in Boston on Monday. Move over, Vava II, there’s a new superyacht in town. The 288-foot Fountainhead was docked this morning at the end of Commercial Wharf. Several people were lounging on the back, along with a small dog. The arrival of the Fountainhead, with its name emblazoned in metal letters on the side, comes after a recent visit by the 315-foot Vava II. The Vava II, which has since left the area, had a small helicopter stowed on board. The Fountainhead appeared to have one or two large boats perched on its back deck. 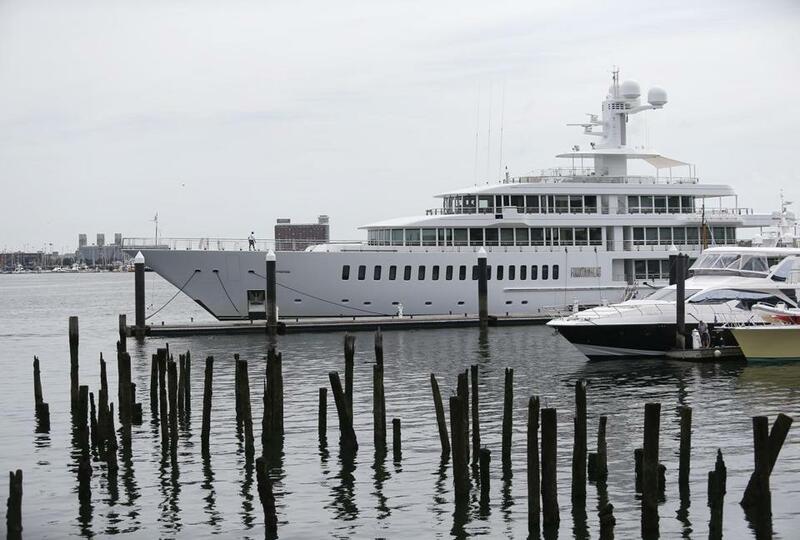 The yacht also visited Boston Harbor last year, amid rumors that it belonged to billionaire Mark Cuban. But the New York Post reported that it was owned by Sears chief executive Edward Lampert.